Lith print from a cameraless image captured on infrared film by laying film on top of a hearth and capturing the reflected infrared light. RA4 Colour print from Victorian eye hospital microscope slide. RA4 Colour prints from Victorian eye hospital microscope slides. A range of work exploring the symbolic representation of self, creating psychological spaces between dreams and reality. Lith print from Wet Plate collodion on glass. Wet Plate Collodion glass slide projection. RA4 Colour and lith prints exploring the aesthetic beauty of discarded medical microscope slides. Overexposed printing on expired Fujicolor Crystal Archive colour paper which has a pink caste. Soaked in household bleach with blue layer bleached back and selectively blushed away. Catching light directly onto photo sensitive paper. Double exposure of two scratched 35mm negs. 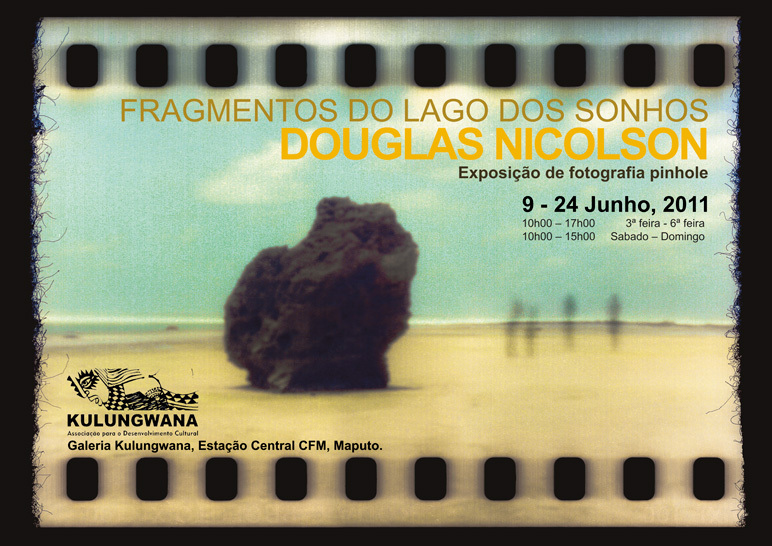 An exhibition of analogue photography and alternative photographic process by E5 Process Collective. This exhibition at Factory Press (http://www.factorypress.co.uk), showcases the work being produced by artists at E5 Process darkroom. A range of silver gelatin, colour and alternative processes, all inspired by, near, or connected to water. Before my granny passed away she gave me an old roll of colour film from her sideboard drawer to see if I could get it developed. It had expired in the 1970’s and was meant to be developed in an obsolete development process (C-22). I returned to the film after my granny had passed away and after some research attempted to develop it in black and white developer. It was a slightly involved process as it needed to be developed and bleached back before fixing. Guessing the timings I chopped the film into sections. One strip showed an image of some people outside a house but this disappeared in the fixing process. Only one strip contained an image after final wash.
Lith print from C-22 35mm colour neg. The History of the first known pieces of memoriam keepsakes can be dated back to the beginning of humankind. Everything from skin, nails, hair, tears or even droplets of blood behind a plate of glass have been used as keepsakes. Over time, these memorial keepsakes have evolved from death mask casts, taking photographs of the deceased to keeping objects that belonged to them. – An oyster and pearl my grandfather found while diving in Japan, contained in a glass dome. – A music box from the home of my grandmother. She loved neon and plastic things! – A bowl and cup from the home of my step-grandparents. Highland crofters with strong connections to the land. A 12 hour Breathing Space durational performance at Augustine’s Tower, Narrow Way, Hackney, April 2017, where E5 Process Collective collaborated to produce a body of work in response to Breathing Space’s practice and the tower itself. Bleached wet plate enlargement produced under enlarger from 35mm negative. Lith print from collodion glass plate. A project that began after Mike Crawford was given a large batch of out of date photography paper. He generously gave some of it to over 50 artists. Handmade mask, made out of pig skin by Andre McClane. Utilising all the bits of rope, twine, string, barbed wire and netting I found on a beach walk. Pinhole – Indian Ocean, Mocambique. Lith print from a light leaked negative. The Wet Plate collodion process is an early photographic process which involves the use of a glass or metal plate sensitised by placing it in a bath of Silver Nitrate and then exposing the plate while it is still wet. Glass plates can be used to make enlargements. The prints on paper have been lith developed. On the roof of Netil House East London looking towards the city. 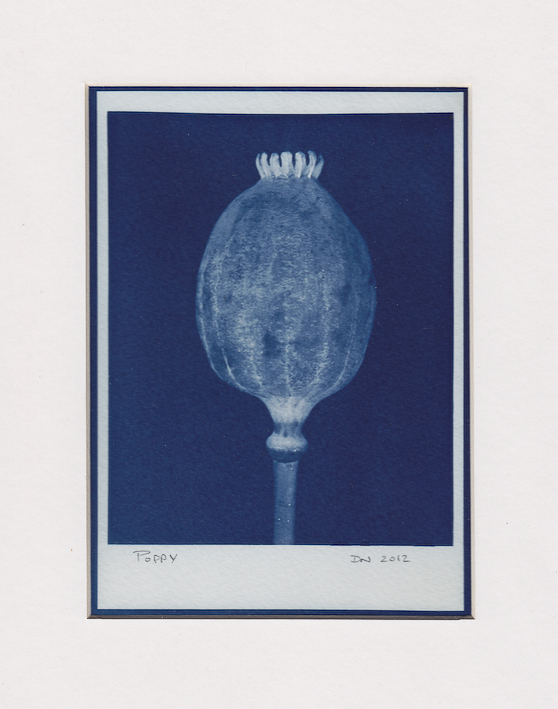 The cyanotype photographic process results in permanent photographic images in an elegant assortment of blue values. The English scientist and astronomer Sir John Herschel discovered the process in 1842, a mere three years after the ”official” announcement of the discovery of photography. Herschel is the same gentleman who coined the words “positive and negative”, “photograph” and “snapshot”. 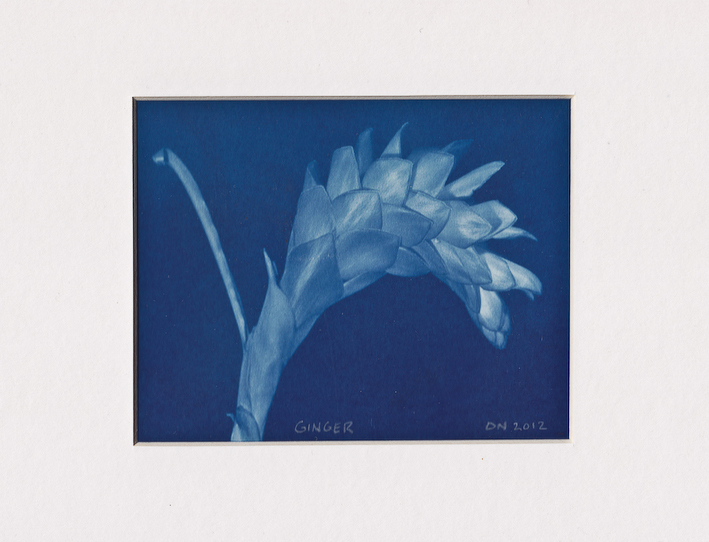 One of the first people to put the cyanotype process to use was Anna Atkins (1799-1871), who in October 1843 became the first person to produce a photographically illustrated book using cyanotypes. The process was also used extensively for copying architectural plans until it was made obsolete by photocopying and computer printers. This is where we get the phrase ”Blueprint” from. The final size of the image is dictated by the size of the negative. A print is produced by contact printing directly from an object or photographic negative. Watercolour paper is impregnated with 2 coats of an iron based solution. Once dry the negative is placed on top and exposed to the sun or an ultraviolet light . The iron reacts and turns the paper a rich blue color. Washing the print in water fixes the image and makes it permanent. The extent of color change is dependent on the ratios of the different chemicals used and amount of UV light passing through the object or negative. This results in every image being a unique print. KULUNGWANA gallery, Maputo, Mozambique. 9 – 24 June, 2011. The work shown in “Fragments from the Lake of Dreams” was produced in ongoing experiments with pinhole and alternative photography techniques. Work shown included a selection of personal colour pinhole photographs and black and white pinhole images from workshops as part of KULUNGWANA outreach program with Escola Primária Completa 25 de Junho. During the opening night, alongside performances by dancers/musicians/circus performers, there was a workshop where guests were invited to make a photogram of their hands and share a dream. The “Dream Hands” were left in situ as part of the exhibition. Documentation of participatory event at exhibition opening. Installed as part of show. 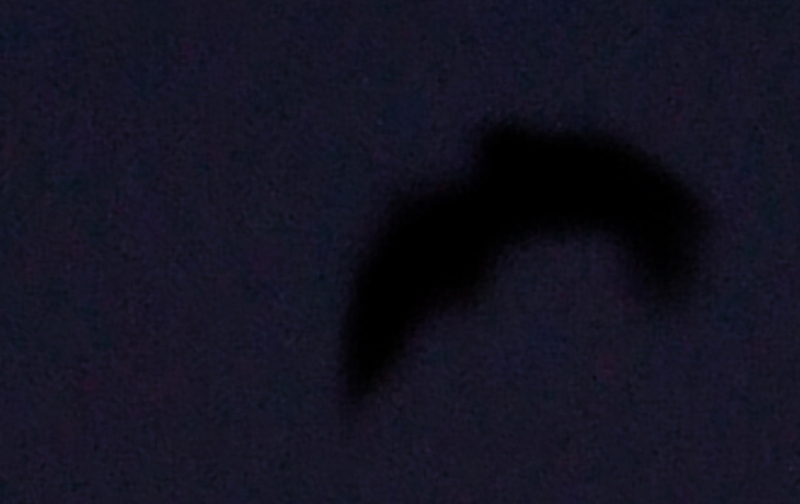 Documentation of the nightly migration of Long-tailed Fruit Bat, Notopteris macdonaldi in Fiji. Exhibited in the Fiji Art Council Annual Exhibition, Suva, Viti Levu. A selection of images from a six month sharing of a visual diary of the tables two artists sat at. One Scottish one Romanian. 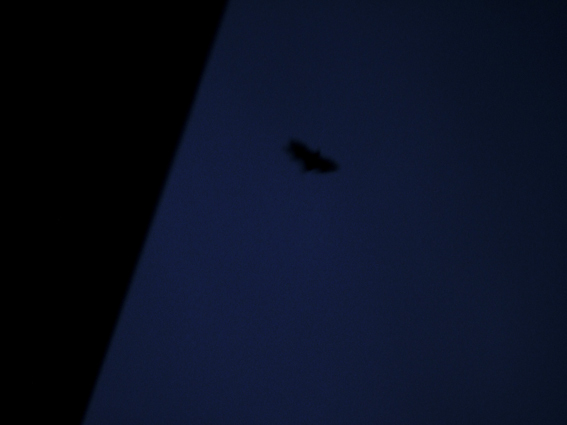 A selection of images from a project documenting the traces we leave behind everyday. 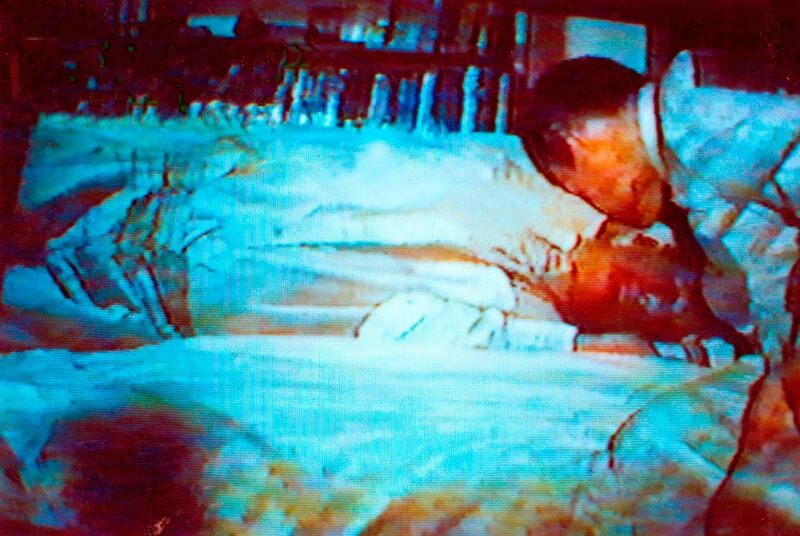 Video still of self-projection back into video projection. Stills from video of self-projection back into slide-show of slides from childhood.